You might have thought that the online censorship programme of the Chinese Communist regime couldn’t get much more ludicrous after it was revealed that they were blocking references to Winnie the Pooh on the grounds that some people thought Communist Party leader Xi Jinping looked like him. But it appears you would be wrong as it was revealed this week that children’s TV favourite Peppa Pig was being censored on the grounds of being subversive. If you are not familiar with Peppa Pig you presumably don’t have children. This cartoon pig and her friends and family are a global phenomenon with the show being available in 170 different countries and translated into 40 languages. It is a big deal in China too, with rumours of Peppa Pig theme parks even being opened in the country next year, which will be the Chinese Year of the Pig. But those plans may be on hold now that Peppa has fallen foul of the censors. The censorship was first noticed on the popular Douyin video website earlier this week, with searches for Peppa Pig suddenly throwing up no results. The reason for this appears to be the audience that Peppa has been attracting in China. 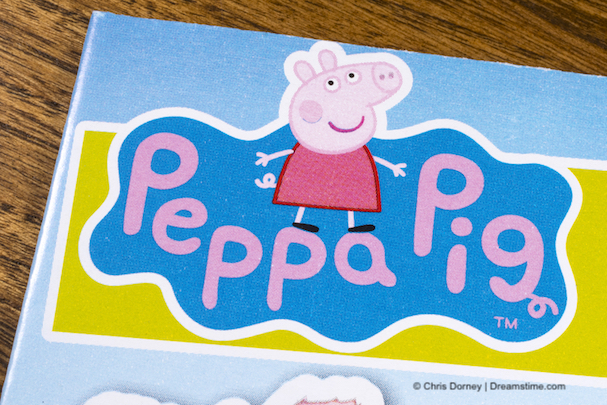 While she is a huge hit with young children, Peppa has also become massively popular with adults too. Clips and characters have been popular in memes on Chinese social media, often with an adult theme. This has seen the character being increasingly embraced by those considered to be counter-culture, anti-Communist, and even gangsters. There has been a rush for Peppa Pig products of late with tattoos proving especially popular. Another social media site, Weibo, has even recently blocked the phrase, “Get a tattoo of Peppa Pig, give a round of applause to ‘gangsters’”. But as with everything that gets popular in China that the Communist Party cannot control, the regime has now stepped in to try and stop the fun. Why is China censoring Peppa Pig? An article in the Communist-controlled Global Times newspaper explained the censorship. Many Peppa Pig fans around the world will be scratching their head and wondering how the Communist Party manages to come up with this stuff. But as an authoritarian single-party state, challenging their decisions is impossible. So, Peppa Pig is being blocked in China and for adult and child fans alike, it seems that soon they will have to use a VPN to watch or read anything about the world’s favourite cartoon pig. Even more sinister than the decision to block Peppa Pig, is the revelation this week that Communist Party authorities store deleted WeChat content. Few WeChat users are under any illusion that the regime doesn’t have access to the messaging service and closely monitor and censor its content. But WeChat operator Tencent has long denied that it stores WeChat histories. Remarkably they continue to do so. But a Communist Party online watchdog admitted on social media this week that in fact they could retrieve deleted WeChat messages. The confession came from the Chaohu Municipal Discipline Inspection and Supervision Commission in eastern China and was picked up by South China Morning Post. In the post, the watchdog admitted it had used deleted WeChat conversations on a suspect’s smartphone to identify other people it wanted to interview. It did not reveal how the deleted content was recovered, and the messages were swiftly deleted from the site. But the word is out and many Chinese citizens, who had previously taken Tencent at their word, are now panicking over how to protect their online privacy. Many have reached the conclusion that the only way to stop the Communist regime from eavesdropping on them would be to destroy their smartphone altogether. They might be right. Certainly, anyone who wants their online messaging to be private should not be going anywhere near WeChat. There are plenty of encrypted messaging service on the market that do offer privacy protections, but most of these are blocked in China. However, by using a VPN, which will encrypt all of your online data, it should be possible to download and use apps from services like Signal and Telegram.